Back in action! 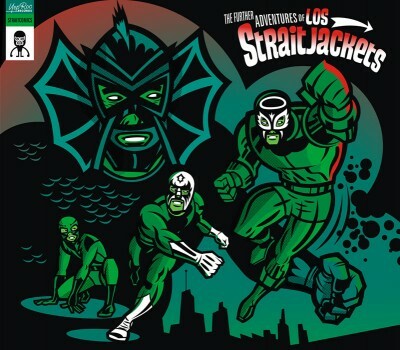 Yep Roc Records is happy to announced the repressing of Los Straitjackets’ The Further Adventures Of Los Straitjackets now available at the Yep Roc Store. Mastered specifically for this 180 gram release, this LP reissue features the complete studio sessions. Included on side A and side B the two bonus tracks, “Snappy” and “Twist & Slide,” have been cut directly into the wax rounding out this full album experience. Los Straitjackets’ JET SET 7″ vinyl box set now available for pre-order. Los Straitjackets Complete Christmas Songbook available for pre-order!